When a widely despised gossip columnist is found shot to death, Riley Spartz must secretly investigate a case in which she becomes the prime suspect. In the wake of the brutal murder, our heroine discovers that news and gossip have more in common than she ever imagined. 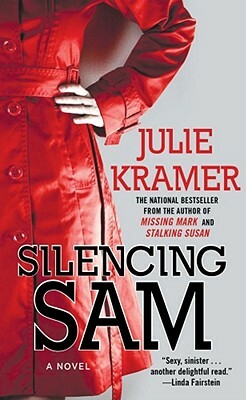 Trouble begins when Riley publicly clashes with newspaper gossip writer Sam Pierce, throwing a drink in his face after he implies in his popular column that she cheated on her husband. When clues to the homicide lead to her, Riley is charged with the crime. The police seem unwilling to look any further for perpetrators, although numerous local news- makers have reason for revenge—even a motive for killing. Meanwhile, competition in the Channel 3 newsroom is just as murderous. While Riley struggles to interest her boss in a story about rural wind farm bombings and dead bats, a new reporter spikes the station ratings with exclusive stories about the headless homicide of an unknown woman whose decapitated body is found in a city park. Maybe murder isn’t such a bad idea after all? Riley must fight to stay out of jail, ahead in the ratings, and even alive in a killer showdown not fit for television audiences.